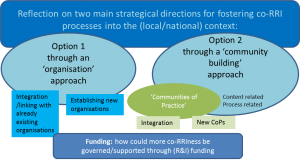 To broaden the outreach of the Co-RRI transition experiment of FoTRRIS in Austria, the IFZ team (Sandra Karner, Anita Thaler and Magdalena Wicher) organised an expert workshop in Graz. 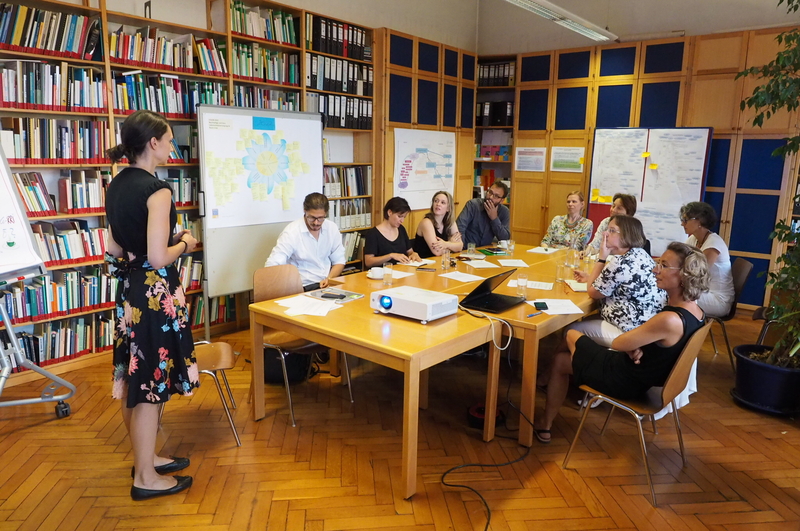 Eight Austrian RRI experts came on 12th of July and discussed key learnings on the concrete co-RRI experiment on sustainable food systems, and more generally how the ‘co-RRIness’ of the Austrian R&I system could be enhanced. 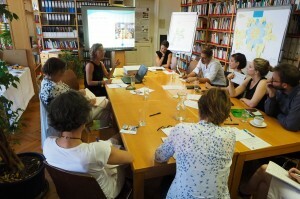 The key message was: “You have to think smaller! Your RRI-experiment has the size of a flea in comparison to the Austrian or European R & I system.” The experts agreed on the importance of this transition experiment as most of the RRI research so far is rather theoretical and lacks the empirical data to actually assess its possibilities, but the function of this co-RRI transition experiment cannot be the change of the R & I system. Meantime, everyone agrees that with this transition experiment an important first step has been taken, and this should be valued.